NGINX brings power and control to your Google Cloud Platform (GCP) environment, so you can operate services and deliver content at the high standard your customers and developers demand. NGINX Plus can operate stand-alone or complement GCP’s load balancing solutions, reducing cost while delivering complex applications. NGINX Plus delivers GCP-ready load balancing, high availability, and management features, all with full NGINX technical support. NGINX Plus is packaged in a convenient virtual machine (VM) available from the Google Cloud Platform Marketplace. Deploy NGINX Plus directly from the GCP Marketplace, with either hourly or annual billing, across all GCP regions. Every NGINX Plus VM includes access to NGINX’s award-winning support. Learn how to quickly set up an NGINX Plus environment in Google Cloud Platform with this guide to installing the NGINX Plus VM on GCP using the GCP Marketplace. Learn how to get started using the NGINX Kubernetes Ingress controller and microservices for NGINX & NGINX Plus to load balance, route, and secure Kubernetes applications. 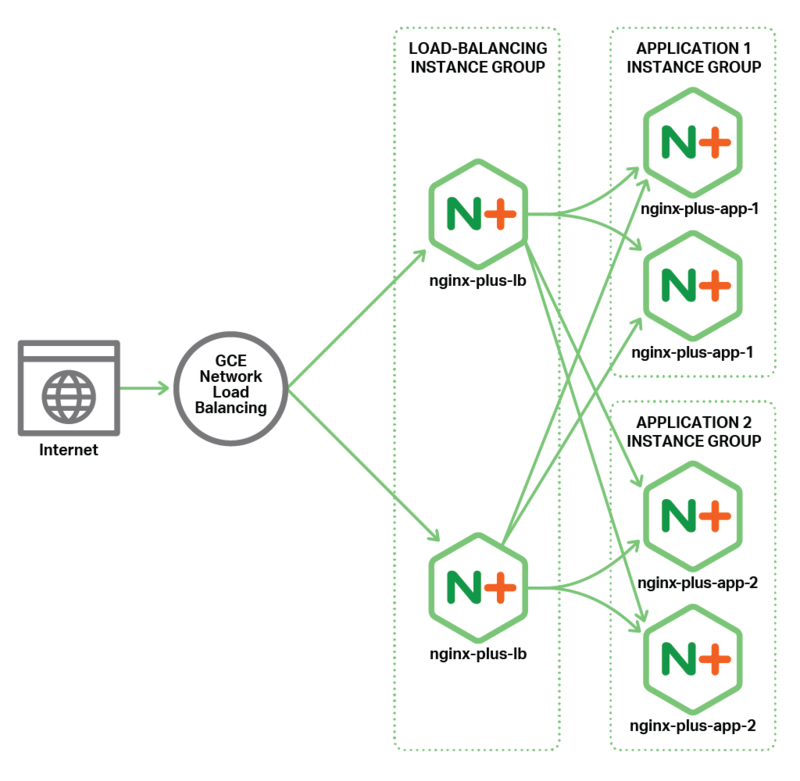 Find out how you can use Packer, Terraform, and NGINX Plus to implement high-availability, all-active, auto-scaling solutions on GCE.